Tecno Camon CM is everything you want in a new generation smartphone with its amazing cameras and near bezel-less design. 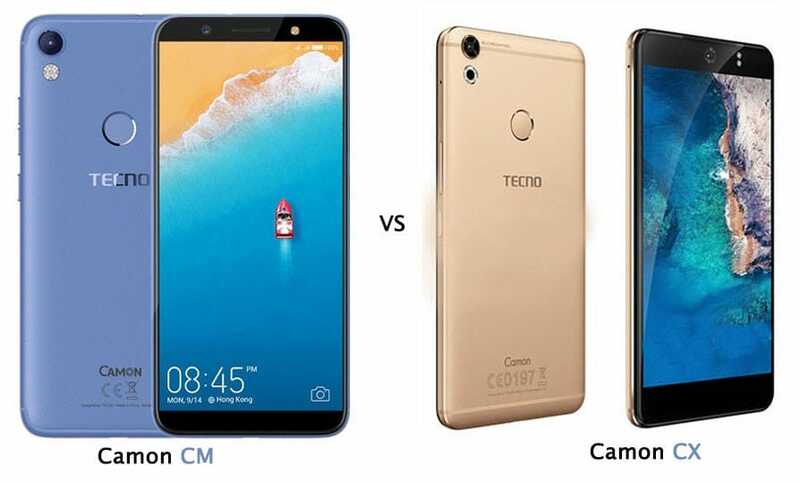 It is the 2018 edition of TECNO’s camera-focused Camon series and successor to the hugely successful Tecno Camon Cx. It was launched at SilverBird Movie Theatre Lagos, Nigeria on the 8th of January, 2018. 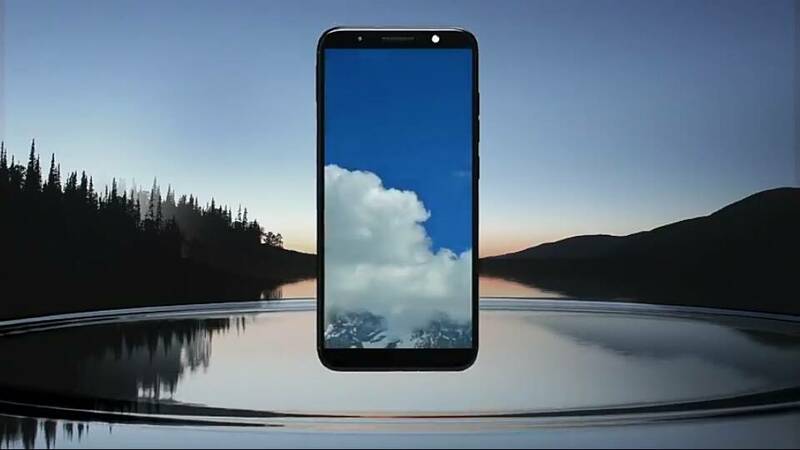 The highlight of the event was the launch of the first TECNO device to come with a nearly bezel-less design as featured in the iPhone X, Samsung S8, and the new Samsung Galaxy S9. Consequently, the Camon CM sports the much coveted 18:9 aspect ratio – which is a major upgrade to the 16:9 found on older devices. This implies that consuming media, playing games and whatever finds its way to the full-view display is going to look awesome. Specs wise there isn’t much of an upgrade when compared to its predecessor. However, users can be rest assured that they won’t be experiencing any lag while using their device. Considering the prices of the Samsung and Apple devices with similar display technology, the Camon CM offers value for money. The smartphone is available on top eCommerce sites in Africa. Look out for the Jumia mobile week for the cheapest Camon CM deals in Africa. 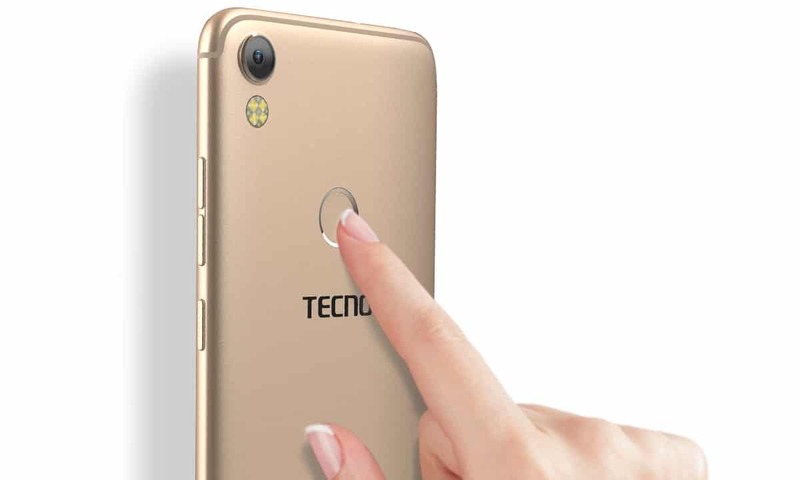 Tecno has created a cheaper alternative for low budget buyers looking to purchase a bezel-less android device. The Camon CM sports an aluminum casing and it can be picked up in either black, blue or gold depending on your preference. The smartphone is brilliantly slim and elegant with a body thickness which measures less than 7.75mm. 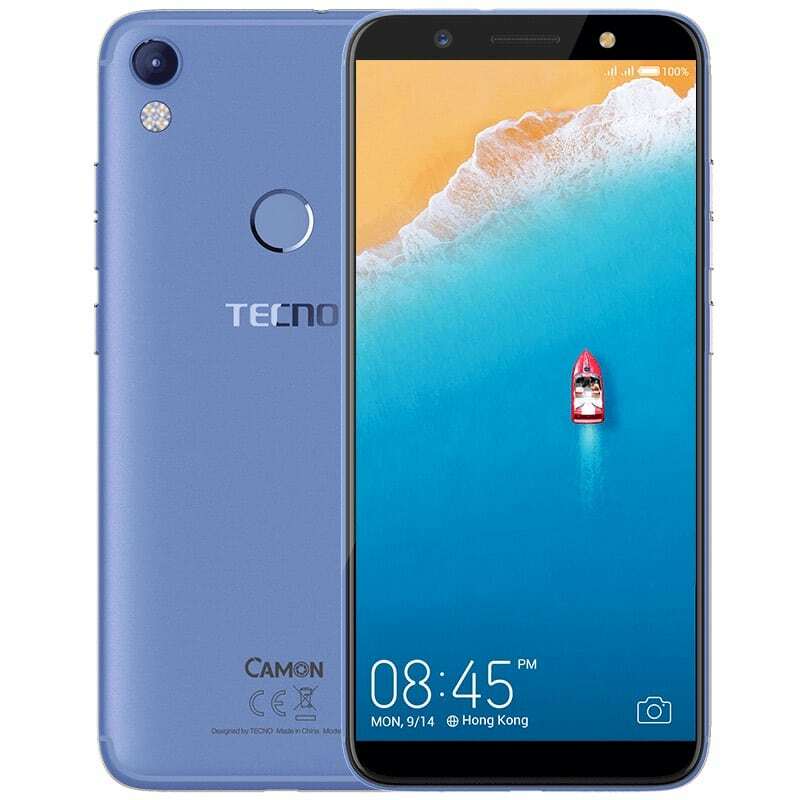 This design is reminiscent of the Tecno Spark K7 which was released sometime in 2017. Located at the back is a fingerprint scanner alongside the rear camera and Quad-LED flash at the top edge. While the power and volume buttons are present on the right side of the device. As earlier mentioned, the display is the selling point of this device. It sports an HD+ display with an impressive high screen to body ratio thanks to the minimal bezel. The 5.7-inch IPS LCD touch display has a resolution of 720 by 1440 pixels and a pixel density of about 282 pixels per inch (282 PPI). The display has an aspect ratio of 18:9 and display ratio of 85%. The display is protected from scratches and mild falls thanks to its extra layer of Corning Gorilla Glass 3. For a 2018 Camon device, 13MP on both the rear and front cameras is short of expectations considering the amazing camera specs on the Camon CX. The Camon Series are best regarded as awesome Camera Phones and an upgrade to the camera would have been a welcome development. The rear camera is equipped with 13MP with f/2.0 aperture and the Quad-LED flash allow for great pictures in poor lit environments. The rear camera also supports HDR and can shoot 1080p videos at 30 frames per second. For selfies, the Tecno Camon CM sports a 13-megapixel front-facing shooter having a f/2.0 aperture and a dedicated single LED flash. Using the front camera, you can take amazing selfies, pictures, photos of friends, families, and relatives. Under the hood, the device is powered by a Quad-core MediaTek CPU (MT6737) and a Mali-T720 MP2 GPU clocked at 1.3GHz. Coupled with 2GB of RAM, the result is a fast smartphone that executes tasks without lagging. In addition to this, the Tecno Camon CM has a 2GB internal memory and a 16GB built-in storage expandable up to 128GB with a MicroSD card. It runs on Android 7.0 Nougat out of the box with hopefully an Oreo update in the future. The Android 7.0 Nougat alongside the customized Tecno Mobile Android User Interface, HiOS, is designed in such a way as to give you an enjoyable user experience. On the connectivity front, the Camon has 4G LTE network capability that allows you to surf the web faster. You also have access to Bluetooth 4.0, Wi-Fi, GPS and OTG. It has a 3,000 mAh – Non-removable battery. The Tecno Camon CX had a 3,200 mAh battery. This downgrade is surprising considering the larger screen size. Anyway, the new Tecno CM comes with a power saving feature that will take you throughout a day of heavy usage. One major difference between the Tecno Camon CM and the Camon CX is the display. Tecno CX has a Full HD (1920 x 1080 pixels) display with 401 PPI (pixel per inch) while Camon CX has an HD+ (1440 x 720) display with 364 PPI. Both smartphones run Android 7.0 Nougat but Camon CM is based on HiOS 3.0 custom skin while the Camon CX based in HiOS 2.0 custom skin. CX is powered by a 1.5GHz 64-bit Octa-core processor while CM is powered by 1.3GHz quad-core processor. CX is packed with 16MP front and rear cameras while CM is packed with 13MP cameras. CX is packed with a non-removable 3200 mAh battery while CM is packed with 3000 mAh battery capacity. The specs above reveal a questionable inferiority of the CM compared to its predecessor. Guess the bezel-less display more than makes up for the downgrades. The Camon CM comes in at a dollar equivalent of about $130. The smartphone is readily available in all Tecno and smartphone stores located across the globe. The Camon CM features an innovative 18:9 aspect ratio with an assurance that you will enjoy a larger display on a smaller body. It still sports the top-notch camera that is a hallmark feature of Tecno Camon devices. Nonetheless, the specs aren’t in favor of the CM when compared with its predecessor and this might be a reason not to upgrade yet.